Sony has announced it will launch its Internet protocol TV (IPTV) platform, BRAVIA Internet Video, in March with the release of its 2010 LCD television range. The company also announced its first 3D-capable televisions, which will be available in Australia from July. Sony will release 10 new LCD TV ranges this year, with 26 televisions in total set to be released in Australia from February. The televisions range from CCFL-backlit LCD sets to 3D-capable, LED edge-lit televisions with Motionflow Pro 200Hz refresh rates. One of the company's core focuses is its IPTV platform, BRAVIA Internet Video. The feature will be available on 21 televisions in Sony's 2010 LCD range, and will allow users to stream content over their broadband connection directly to the TV. Eleven channels will available at launch, with a further four channels to be launched at a later date. Sony televisions with BRAVIA Internet Video capabilities will allow users to stream content from YouTube and other global channels, as well as from local content partners Yahoo!7, SBS and Billabong. Some content will be available in 720p high-definition; 1080p Full HD Internet Video content will not be available at launch. Tony Barbour, Sony Australia's deputy general manager of consumer products marketing, told GoodGearGuide that the resolution of the video is up to the content providers rather than Sony. Barbour said that the greater the picture quality, the more it would impact on the user's download quotas. "We will see a generation come back to the lounge room," said Rohan Lund, CEO of Yahoo!7 at a press conference held by Sony today. Lund also said that Yahoo!7 was committed to giving users more information than traditionally available through TV shows over a variety of platforms, including traditional television broadcasts. Yahoo!7 plans to bring 18 different shows to BRAVIA Internet Video, including US sitcom 30 Rock and local content including Better Homes and Gardens, My Kitchen Rules and Channel 7's morning variety shows. Sony also touted its 3D technology, which will allows users to view simulated and "Real 3D" content out of the box on Sony's high-end LED edge-lit LCD televisions, the LX900 series. The TV will be available in 60in and 52in sizes, and will also incorporate a 200Hz refresh rate, DLNA compliance, wireless networking as well as Sony's Internet Video and Internet Widget capabilities. Two cheaper models, the HX900 and HX800, will also be launched in July and offer 3D capability through an optional accessory. In order to enable 3D content, users will have to purchase an infrared transmitter and Sony's custom 3D glasses. 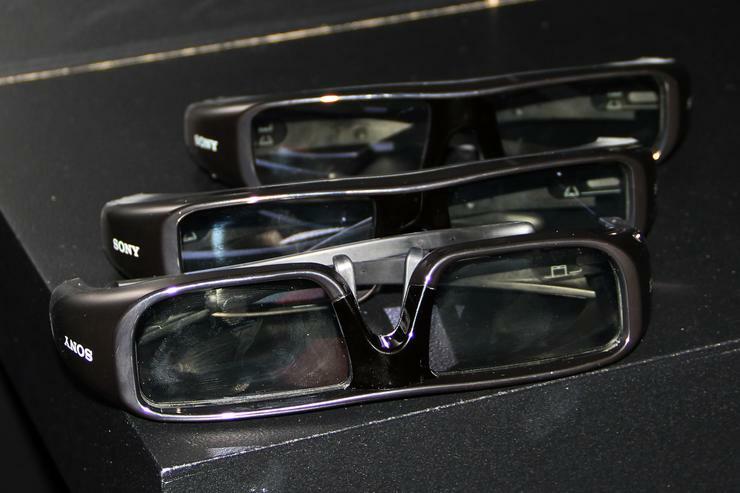 Sony's 3D features uses active shutter technology, in which custom glasses work via infrared with the television to deliver 100 alternating frames per second to each eye. The television can display content that has been simulated to look 3D in post-production, though a Sony representative said that the television looked best when viewing content captured with a 3D camera. Noritaka Sawamura, global general manager of marketing strategy for Sony's home entertainment group, said Sony was the only company to offer a "total 3D solution" from capture to viewing. However, Panasonic made a similar claim recently, when GoodGearGuide was invited to a hands-on viewing of its first product model 3D TV. Pricing is yet to be confirmed for the televisions or accessories.